Germany's federal prosecutor general has reportedly decided not to launch a criminal investigation into alleged mass spying on the European country’s citizens and the hacking of Chancellor Angela Merkel’s phone by the US National Security Agency. Chief Federal Prosecutor Harald Range did not find enough evidence to warrant criminal proceedings into the case,reportedGerman newspaper Sueddeutsche Zeitung, citing sources from the prosecutor’s office. In Range’s opinion, the newspaper wrote, the proceedings would be purely “symbolic” since it is impossible to gather evidence about the activities of the NSA and its British counterpart, GCHQ, on German soil. The prosecutor’s office said it has no access to documents or witnesses. 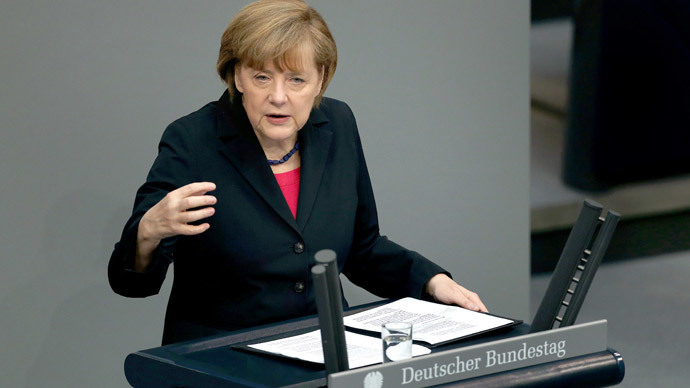 Requests submitted to American authorities are likely to remain unanswered while attempts to get information from the German government and intelligence agencies were dropped. German authorities told investigators that media reports were the only information they could offer, according to Sueddeutsche Zeitung. 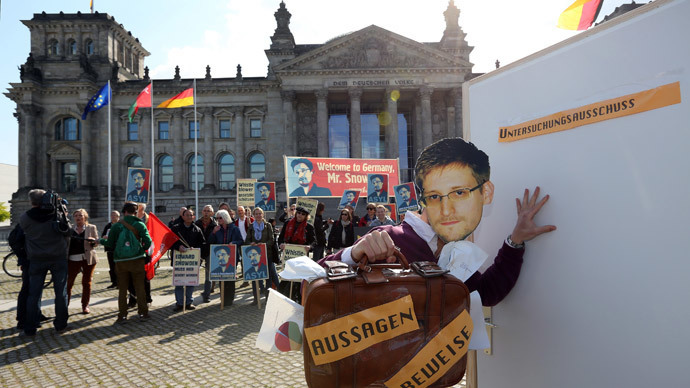 Der Spiegel denied the prosecution documents supplied to it by former NSA contractor Edward Snowden, citing source protection. 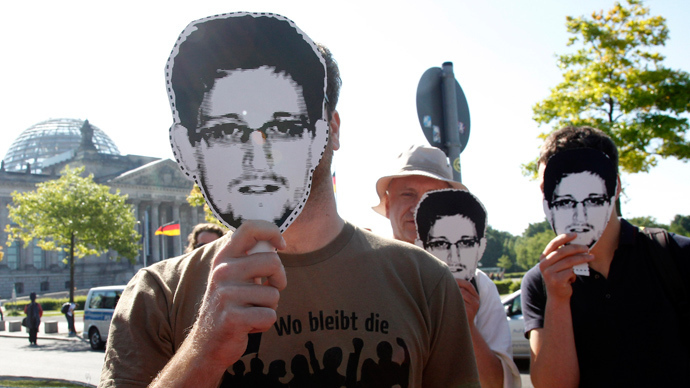 The prosecution’s attempts to access more documents from Snowden’s trove failed, as did its efforts at getting a written opinion from Snowden himself, the newspaper reported. Range’s spokesman said Tuesday that the final decision on the matter will be announced “soon,” and did not deny that the investigations may be wrapped up. Papers – which were in work for months – are reportedly ready but have yet to be signed by the chief prosecutor. The supposed termination of the probe was met “with bewilderment” at Germany’s Office of the Data Protection Commissioner (ULD) for the German state of Schleswig-Holstein. It is “completely incomprehensible” that the prosecution did not try to question known suspects, said ULD data protection commissioner Thilo Weichert, especially given the amount of reports on government surveillance by the United States and others in the news. Weichert chastised Germany’s top investigative authority for halting a preliminary look into the violation of privacy levied against millions of German citizens. He said the actions of data protection officials “will be reduced to absurdity” without a proper investigation. "The fact that these investigations are technically extremely complex and new legal territory should not be an obstacle but an incentive to enforce the law," he said, according to Computerworld. 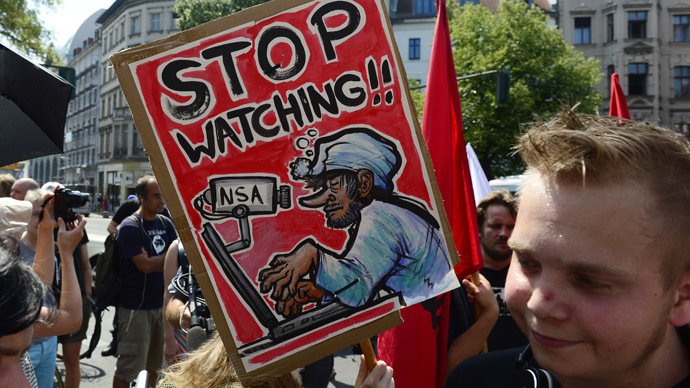 A refusal to open an investigation into spying would be “grotesque,” said Rena Tangens of Digitalcourage, the privacy and human rights group that filed a complaint against the German government for its alleged involvement in illegal covert intelligence operations. 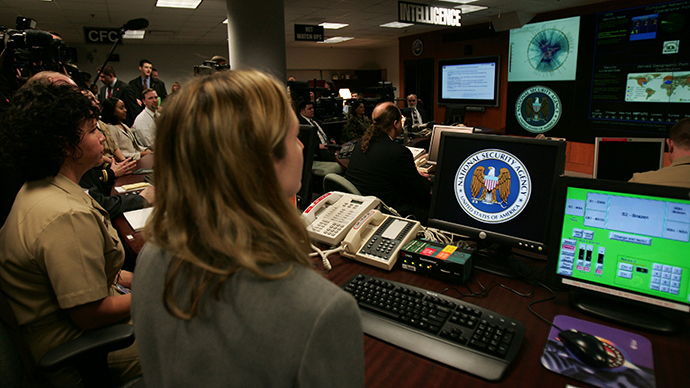 Classified data leaked by Snowden revealed that the NSA had been monitoring Chancellor Merkel's personal cellphone. The Americans also used their Berlin embassy as a platform to monitor the mobile phone communications of other high-ranking German politicians.